Traditionally (back in the medieval period) shutters were hinged solid timber panels fixed externally to protect the occupants from the elements (rain, wind and sun). In the Arabic countries the use of timber latticework which formed part of their ‘mashrabiya’ acted as privacy screens in addition to sun control. 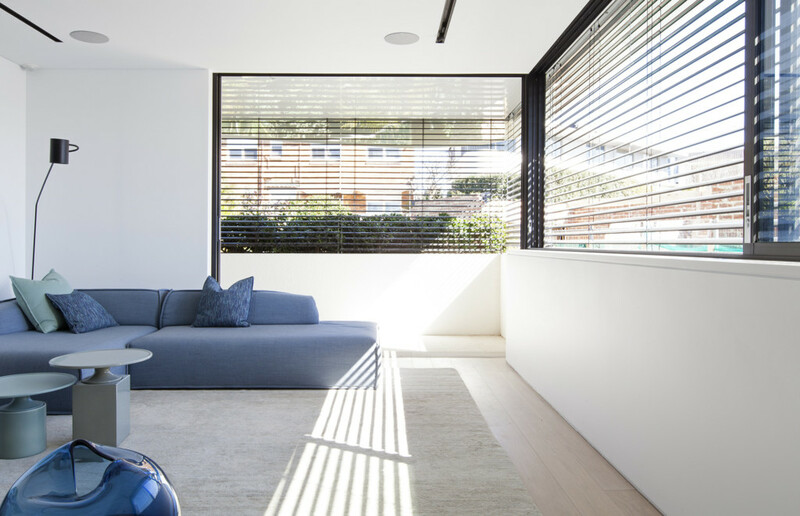 The window screen is often found towards the street for privacy and allows cool air to pass through the façade to the interior. The latticework offers the chance to see the environment, but to stay unseen – which is made possible from the high luminous intensity outside and the fine dark screen on the inside. From a thermal point of view, the traditional open structure promotes a nice constant flow of air to cool the interior. 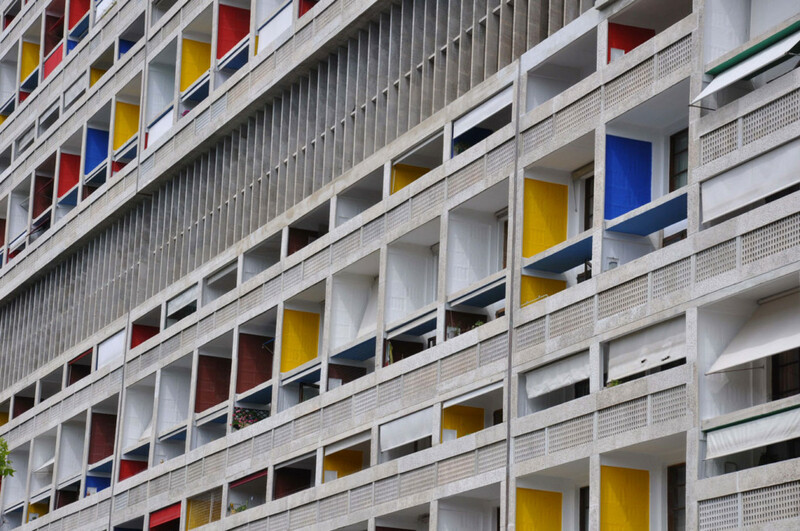 Architect Le Corbusier was well-known for his ‘brise-soleil’ architectural features that reduce heat gain within the building by deflecting sunlight. The horizontal and vertical concrete slabs as Brise- soleil are fitted to the loggias on the south, east and west facades in the Unité d’ Habitation, Marseilles. 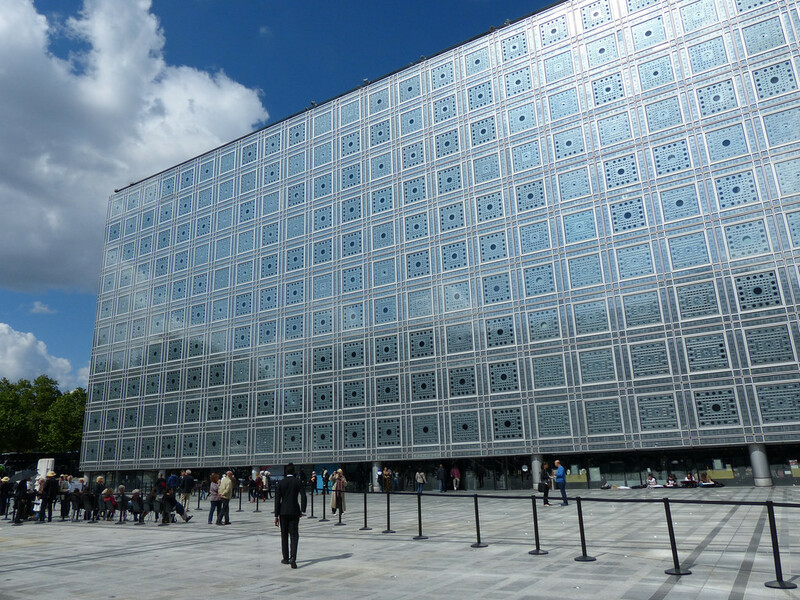 Jean Nouvel’s Institute Arabe du Monde famously realised a dynamic redesign of the vernacular arabic screen. 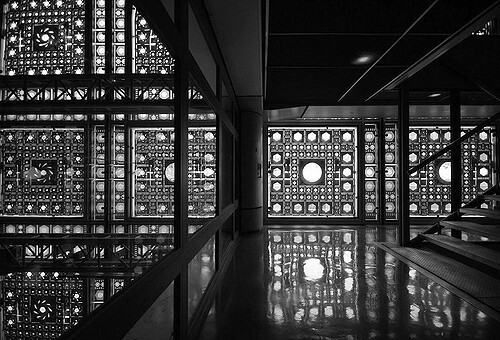 27.000 light sensitive diaphragms regulate the amount of daylight entering the building. 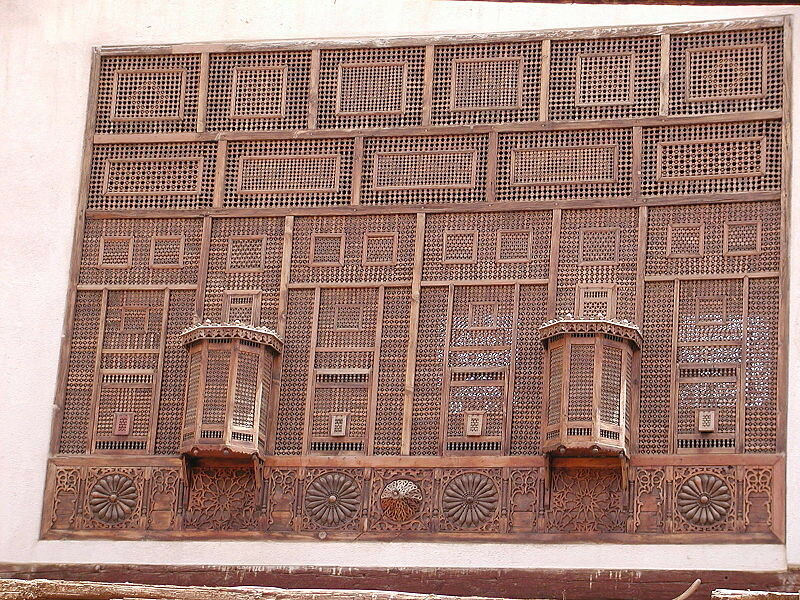 Visible from a close distance, the metallic brise soleil on the south facade has fine and precise details similar to those of the traditional mashrabiya. At first the structure might appear as an arabic decoration, but its functions derive from filtering the daylight dynamically, depending on the specific weather situation. The following are some of our own projects where we have designed the external window coverings into the architecture of the building. 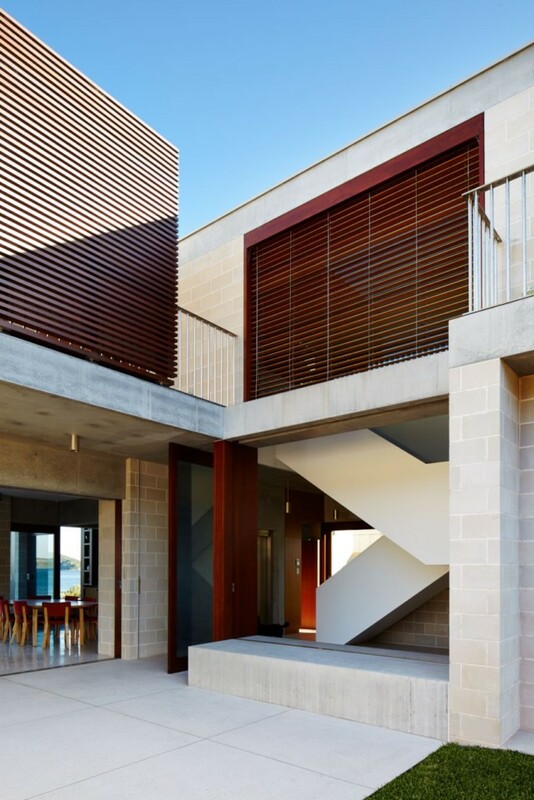 In our Block House at Pearl Beach, the expansive windows required flexible sun control so a mix of timber venetian vertical louvres and horizontal sliding shutters are layered on the façade. The sliding screens on the balconies provide flexible protection from the weather at various times of the day. They also provide varying levels of privacy for the occupants. 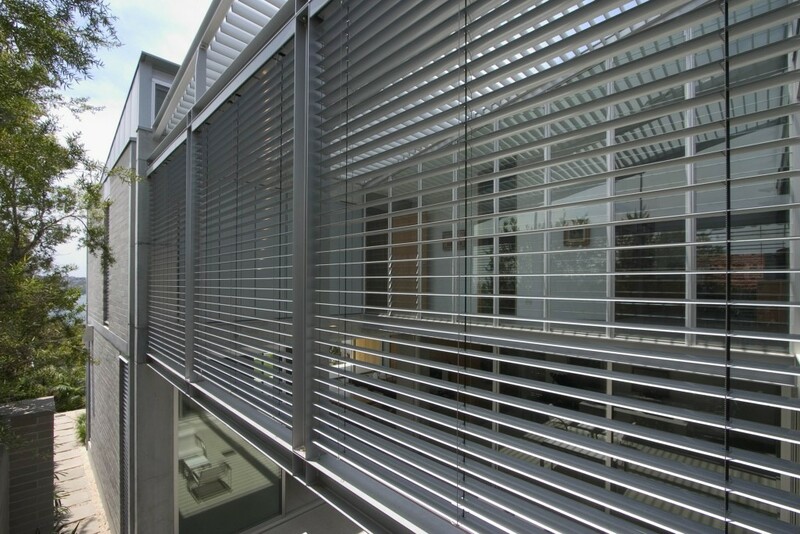 Another example of vertically operated louvre blinds is at our Tamarama House. The black metal blades can be tilted as required for sun shading or privacy, but also provide interesting light patterns internally throughout the day. 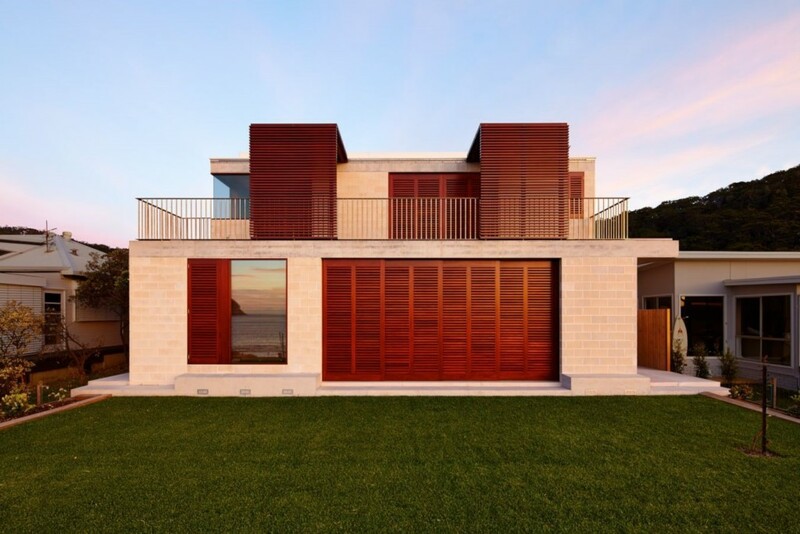 Our Mosman House has a central courtyard which is shielded from the elements by metal operable shutters – both on the roof and side wings allowing the occupants full flexibility depending on the weather and time of day.